What is the best freelance website for beginners and professionals? Is your company looking for professionals for your time-limited, seasonal or special projects? There are many freelance platforms that you can tap into. These freelance job websites and services have changed the way professionals do their job and how companies operate. These allow businesses to easily source workers for projects that do not require permanent employment, and independent professionals to work without the pressure of aiming for tenure. For many employers, implementing a freelance system is a great solution when it comes to lowering overhead costs and improving productivity in their operations. It helps them shorten hiring processes and training times. It also lets them have the flexibility to hire by demand. Additionally, this gives them access to a wider talent pool that is not limited to a local candidate list. Meanwhile, freelancers enjoy flexible work hours that allow them to accomplish tasks on their own terms. They feel that independent work grants them a better work-life balance because they aren’t obligated to travel to and from an office. To add to that, freelancing, be it part-time or full-time, offers workers more room to grow professionally as they can experience a variety of jobs requiring different skill sets. In the past few years, freelancing has become an increasingly popular option over traditional 9-to-5 jobs in the worldwide work landscape because of its convenience. In fact, according to an Upwork and Freelancers Union survey, it is estimated that there are 56.7 million Americans that do freelance jobs as of 2018. Going freelance is an intentional decision for the majority who opt for it, and independence and flexibility are major reasons cited by those who undertaken freelance jobs. 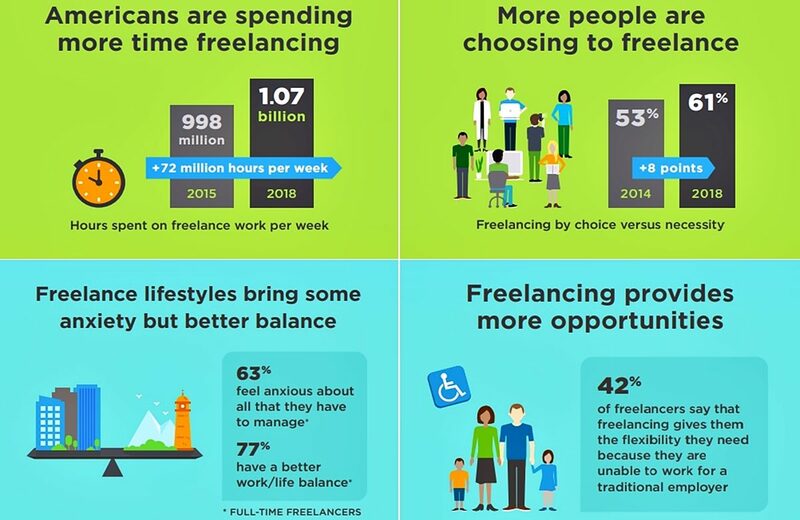 Below are some significant freelancing statistics. Freelance platforms are undoubtedly beneficial for businesses and individuals alike. The question now is, “how do you start freelancing?” First off, you need to find a freelance website where you can connect with potential employers or employees. That may be easier said than done. There are lots of freelance sites available on the market, and it can be difficult for you to choose which ones to go to. We’ve done the digging so you don’t have to. You can narrow down your choices from this list and base your decision on the information presented. We’ve gathered the 20 best freelance websites for beginners and professionals. If it’s your first time to join the world of freelancing and aiming to work on projects that are right up your alley, then these are the “go-to” sites. On the other hand, if you’re looking to hire professionals with specific expertise for your project, these sites are the ones to explore for special talent. If you want to learn more about these freelancing solutions, you can also check out our what are freelance platforms guide. Fiverr is a freelance service marketplace designed with entrepreneurs in mind. It is a tool that helps employers find individuals brimming with talent to complete a wide variety of short-term projects. Whether you are looking for graphic artists, writers, digital marketers, programmers, or other types of freelancers, employers will surely find affordable and skillful talents using this platform. Moreover, joining Fiverr is free. You can search the online marketplace for any service you require. To make things easier for you, jobs are categorized, allowing hassle-free browsing. You can easily sign up for Fiverr here. Using Fiverr, you get to recruit talent the way you want and streamline your to-do list regardless of your budget. It also allows you to find the service you need with your goals and deadlines in mind. And then there is the matter of security. With the service, you can rest assured that the payments you make are always secure as Fiverr uses only top-of-the-line security technologies. Upwork is a cloud-based freelance platform known for having the largest pool of employers and job finders. Perfect for businesses of all sizes and freelancers with different skill levels, this application allows users to easily sift through available listings per their needs. It also has features that detect potentially fake employers or employees to protect the integrity of legitimate users. Moreover, Upwork offers affordable pricing plans that include tools for hiring assistance, pre-funding, consolidated invoicing, customized reporting, and more. Should you be interested, they also offer free sign-ups so you may test if the platform works for your operations. In-App Communication Channels. Coordinating work among workers–be it part-time or full-time- is important to ensure the productivity of your operations. Communicate with your talents on-the-go using the in-app messaging tool of Upwork. Through this feature, you can provide feedback via text or video as well as share files with your freelancers. This feature promotes collaboration between employers and freelancers. Top-of-the-Line Freelancer Search Engine. Upwork offers a search engine backed by reliable data science and algorithms to let businesses narrow down the long list of potential employees and allow freelancers to efficiently filter jobs that suit their skill level. In addition, you get to become a virtual magnet for freelancers with qualified proposals coming in as short as 24 hours. Fuss-Free Recruitment Solutions. Using Freelancer.com, you can browse through the registered talents according to their skill set and proficiency level as well as check out their portfolio to determine who to hire. All you have to do is post whatever job you need accomplished and you’ll be flooded with competitive freelance bids in a few minutes. Alternatively, freelancers using the application can reach out to sellers to bid for the projects that they want to work on. Safe and Secure Payments. This platform uses a milestone payment system that offers protection for all users of the site. It guarantees freelancers that the payment for their work is available and ready for release while employers are assured that the payment will only be released if they are satisfied with the outputs submitted to them. What’s more is that you only pay upon 100% completion of the work. Created for designers, developers, and creatives, Envato Studio is a platform where buyers can find and closely collaborate with experts on a job. From branding creation and animation to app development and website design, this site has a large pool of hand-picked freelancers ready to assist you with any project you have in mind. Offering one-time payment pricing plans as well as quote-based subscriptions, this site is a boon for both small companies looking for assistance on a short-term project as well as large firms that are constantly in need of extra help with their operations. What is unique about Envato Studio? Comprehensible Platform. Envato Studio’s platform was designed with usability in mind. It has a straightforward platform that lets you post projects, scan talents, and collaborate with service providers quickly and efficiently. The site also facilitates collaboration among users through their in-app messaging tool. This way, clients and freelancers can work on the project together and ensure the creation of better output. Finding Talents Made Easy. Envato Studio is a community consisting of experts specializing in various fields. To simplify your search for talents, the platform allows users to compare portfolios, community recommendations, as well as prices. Additionally, businesses are free to send inquiries to freelancers should they be interested in employing their services. Streamlined Project Management. One of the reasons why Envato Studio landed on our list of top 20 freelance websites for beginners and professionals is because it’s conducive to boosting the productivity of any job. It has built-in messaging tools that let clients provide real-time feedback on a particular project as well as job management features that streamline the project development process. Toptal was designed to provide companies with designers, finance experts and software developers who are not only highly fluent in English but are also part of the top 3% in their fields. Toptal also makes it quick and easy for businesses and organizations to secure freelancers for critical projects that require full-time, part-time, or hourly work hours. Simply inform the Toptal team what talent you’re looking for as well as your requirements, and within one to three weeks you’ll receive a skilled worker equipped with the best set of skills for your task. What is unique about Toptal? Rigorous screening process. Toptal manages to get the cream of the crop through an exhaustive screening process that involves a thorough personality and language proficiency test, extensive technical knowledge test, stimulating test projects, and live screening exercises. Toptal also enforces strict quality standards for their talents, ensuring that you only get services from workers with the best track record. Smooth integration. Toptal ensures that the freelancers they recommend are highly adaptable with your company’s work environment and tools. This extends to your company’s work hours and even on-site requirements, with Toptal capable of providing relocation of its freelancers. Money back guarantee. If your freelancer failed to satisfy your demands, you can get your money back for services rendered up to two weeks. The platform pays for the freelancer themselves during this two-week trial period. Acquiring talented workers is quick and fuss-free with Guru.com, a freelance platform designed to connect employers with millions of skilled individuals around the world. Creating a job posting, which allows you to select freelancers with the right skill sets by toggling multiple work specialization categories and limit freelancers to specific countries or cities, is entirely free and can be done on the homepage. Guru.com also allows employers to easily facilitate communication with either lone freelancers or groups of talents with a unified, comprehensive dashboard that streamlines all your project management tasks– from creating agreements on payment scheme to sharing work documents. Optional featured job post. While creating a job post is entirely free, employers can boost their listing’s visibility with a $29.95-priced featured job post. Your featured listing will appear on the top of Guru.com’s search results, thus significantly increasing its exposure. Comprehensive dashboard. Project management is a breeze with Guru.com, as it allows users to set tasks and communicate with their workers with a singular dashboard. Here, you can post important tasks and updates or place work documents on the discussions page to easily get your workers up to speed. Communicating privately with your workers can also be done through the dashboard. Automatic and secure payments. Regardless if you have an hourly agreement, fixed-price agreement or recurring payment method with your worker, Guru.com allows you to automate sending of your worker’s salary. For peace of mind in sending of payments, Guru.com comes equipped with Safepay, a secure, risk-free payment protection option that safeguards your funds should you get in any disputes with your worker. With this, you can file a dispute and send a refund request. DesignCrowd is a custom design marketplace where businesses and organizations can bring their ideas to life by crowdsourcing. From the logo of your brand to graphic designs, DesignCrowd is a platform where you can receive multiple quality proposals from artists all over the world. DesignCrowd plays host to over 600,000 freelancers globally to populate your design contests. Posting a design contest, which costs up to $79, will allow you to receive over 50 designs from various designers. Project turnover is also quick, allowing you to set a deadline submission date of 3 days, 5 days, or 10 days. Design seekers can also shortlist designs and provide constructive feedback to bring their envisioned design closer to reality, or request for further polishing on the winning design. Once you’ve selected your winning design, you gain full copyright ownership to the design files. From idea to concrete design. To ensure all design submissions are in line with your vision, DesignCrowd requires design seekers to post a design brief. Additionally, design seekers can provide feedback during the crowdsourcing stage and ask for revisions on the winning design. Multiple Design Submissions. Posting a design contest allows you to receive over 50 design submissions from various individuals around the world, with more proposals sent in the longer your set deadline. You can choose to set a 3-day, 5-day, or 10-day deadline. Receive more designs or get a refund. Should you fail to receive a good design entry within the deadline, DesignCrowd can request for more design submissions. Should you encounter any issues, it has a money-back guarantee within 60 days of your posting. A cloud-hosted platform designed for businesses of all sizes, Nexxt combines the best tools for marketing and job advertising in one convenient application. It is geared towards promoting the opportunities you offer to reach the right people as well as delivering your hiring message to freelancers. With this application, businesses only need to discuss their hiring goals and preferred marketing campaign while freelancers can sign up to showcase their work to potential recruiters. You can reap the benefits of Nexxt for as low as $199 per month. What is unique about Nexxt? Targeted Recruitment. Elevating your recruitment process is easy when you utilize the targeted tactics offered by Nexxt. The platform helps businesses promote available job opportunities in the right places so that you can hire the right freelancers for any project you are working on. Custom Campaign Building. Promoting your brand can be difficult, especially when you don’t have the tools to execute your campaign. By using Nexxt, you can step up your hiring efforts through career alert sponsorships, display advertising options, and more. Their specialists will also work with you in creating custom campaigns to maximize your budget. Centralized System for Employers and Professionals. Whether you are a recruiter for a large corporation or a freelancer looking for projects to work on, Nexxt is the application to turn to. It serves as a centralized hub for employers and professionals internationally. The platform is equipped with tools to help you post job listings, find projects, boost marketing campaigns, and more. DesignContest is a web marketplace wherein companies conduct contests for graphic designers to showcase their work to try to win. The business owner simply needs to fill out a creative brief and provide a deadline and budget, all for free. Then, professionals can send in their entries, making sure to comply with the creative brief and other conditions set by the platform and the company. The entrepreneur then chooses a winner, and the designer transfers the copyrights and all necessary files and receives payment. DesignContest works on all devices and all browsers for user convenience. What is unique about DesignContest? Continued Partnership After Contests. If a customer loved their experience with DesignContest, they can hire their favorite designers individually. There is no need to start a contest every time if they already have a chosen professional to work with for one-on-one projects. The platform will also assist with the deliverables, non-disclosure agreements (NDAs), payments and copyrights, communication between parties, and much more. Support for All Users in the Community. Many online marketplaces offer live chat support and free consultations. However, DesignContest features an online forum where different users (entrepreneurs and designers alike), can communicate with one another by posting questions and answers for different topics related to the website, the service, and more. Announcements, tutorials on different graphic design programs, educational and inspirational resources, and many other discussions can be viewed as well. Broad Design Contest Range. DesignContest serves more than business owners when it comes to providing graphic design solutions. Contest categories also include contextual design (characters and PowerPoint presentations), book and CD covers, ticket designs, mobile applications, desktop software, and many more. TaskRabbit is a same-day service freelance platform created to help businesses and individuals in the United States get more errands done in less time. It has a large network of skilled taskers ready to help you cross off the items on your to-do list. From housekeeping and furniture assembly to grocery delivery and yard work, TaskRabbit can definitely revolutionize the way you handle your day-to-day routine. Just describe the services you need, coordinate with a tasker on-duty, and select date and time you need the task done, and you’re good to go. What is unique about TaskRabbit? Secure Transactions. TaskRabbit’s system cuts the frills on task booking by letting you handle everything online–be it through your desktop or mobile device. It lets you post jobs and find taskers, as well as make secure payments in-app as soon as the worker completes the job. Fuss-Free Background Check. It’s not easy looking for workers who can provide fast and professional service. Through this platform, you can find vetted taskers who have undergone a rigorous background and identity check, so that you don’t have to worry about falling prey to fraudulent claims or scams. Property Damage Coverage. While TaskRabbit makes sure to connect you with taskers who are skilled and reliable, entrusting your property to strangers can be risky. To protect you from untoward incidents, the platform offers property damage coverage of up to $1 million in for your peace of mind. crowdSPRING was created to address an age-old problem: many entrepreneurs had little choice and most creatives had few opportunities to find clients. Since 2008, this platform has been serving businesses of all sizes while giving amateur to veteran designers the chance to showcase their work and find their way into the growing online professional landscape. What is unique about crowdSPRING? Comprehensive Guides. Over 200,000 talented creatives from nearly 200 countries are part of crowdSPRING, and at least 50,000 companies use this platform. On average, a project receives more than 100 entries, be it logo creation, web development, graphic design, product design, or naming, among others. This is why the team decided to compile tips and tricks categorized either for clients or creative professionals. From tips on how to name your business to advice on dealing with difficult clients, crowdSPRING’s guides archive remains extensive. Community Outreach. Every few months, crowdSPRING grants qualified non-profit organizations and charities from around the world free design projects. Through creativity, this pool of hundreds of thousands of designers helps its 50,000 clients as well as those in need. Customer Support Available Daily. Customers who wish to address any issue with crowdSPRING can reach out to its staff 24/7 via the usual channels such as email, phone calls, and live support. The platform also provides an issue ticketing system where problems that arise are resolved and archived accordingly by the in-house support team. Design expertise is available as well. Hireable.com is a free job posting platform where companies looking for employees can make their brand known to freelancers. Using an advanced search engine, this platform yields numerous results for job seekers with just a few clicks and even just one keyword. Thanks to this technology, finding the right job is almost instantaneous. What is unique about Hireable.com? Job Posting Notifications. Possible employees and job posters looking to hire may not always come across each other online. However, with Hireable.com’s notification feature, freelancers are alerted when employers post about job openings for a position they are interested in. Tailored Job Recommendations. If an available job position comes up, be it from numerous companies, the platform alerts job seekers with the right qualifications. However, Hireable.com assures users that all private information will be kept confidential while only the details that are shared publicly will be viewable to partner companies and similar parties. Immediate Web Search Results. Hireable.com is equipped with a powerful search engine that displays instant results when a freelancer looks for work. Using a single keyword shows broader results from numerous industries, while multi-worded key phrases narrow the search as needed. WriterAccess is a forum where employers can search for expert writers, editors, proofreaders, content strategists, and translators specializing in over 64 different industries. It allows buyers to view talent profiles that showcase their work, experience, performance data, reviews, and more. Equipped with a StyleMetrics Matcher, the platform lets businesses launch casting calls as well as hold writing style contests, so that they may properly gauge which professionals to hire for a project. To find out if this is the right application for your freelancing concerns, you may choose to try it risk-free for 30 days. What is unique about WriterAccess?  Extensive Content Creation Tools. Starting at $39 monthly, WriterAccess provides business owners with tons of content creation tools, including but not limited to easy order forms, keyword optimization and analytics, research tools, and access to Getty Images, StoryBlocks Images, and StoryBlocks Videos. Companies can then publish the accomplished content to other platforms such as HubSpot, Hootsuite, WordPress, Yahoo Stores, Drupal, and dozens of partners. Furthermore, clients are granted unlimited revisions on all orders they place; they do not pay until they are delighted with the output. Simplified Order Placement. Entrepreneurs can order anything they need and have it completed according to their specifications with advanced tools. Employee matches are either chosen by the client or by WriterAccess’ algorithm. A creative brief wizard is used to clarify project goals, target audience, guidelines, etc., and those who prefer talking about the details of their project goals can record a phone message to help writers better understand them. Conference calls and messaging are the primary means of communication on the WriterAccess website and mobile app. If there is a problem, it will be addressed promptly. Highly Qualified Team of Specialists. The freelancers at WriterAccess are a community of writers, editors, translators, and content strategists. Each one is thoroughly verified, then given a star rating based on past work experience, online test results, industry certifications, job performance, customer reviews, and other factors. As these professionals continue their WriterAccess career, star rating may change depending on the overall performance based on the metrics saved in the platform’s system. Moreover, companies can opt for professionals in their area, be it by state or city. Numerous Multimedia Resources. Accessible to entrepreneurs and freelancers as well as website visitors, the resources at WriterAccess include audio, visual, and audio-visual content related to marketing and creatives. These insightful references come in the form of books, podcasts, webinars, etc. The best part is that all of these resources can be downloaded for free. 99Designs is in our list of top 20 freelance websites for beginners and professionals because of its service flexibility, global reach, and talented staff members. With design experts specializing in over 90 skill sets, this online marketplace works with its business community in the pursuit of growth. 99Designs is based in four different locations in four different continents. What is unique about 99Designs? Expansive Resource Centers. While new business and growing designers join 99Designs, they can take advantage of the website’s different resource centers. These focus on helping entrepreneurs grow their company by providing helpful tips on maximizing the potential of designers, using marketing and graphic design tricks, budgeting before starting a graphic design contest, etc. On the other hand, creative professionals can enhance their skills as a freelancer and as an artist with the platform’s various offerings, including but not limited to toolkits, tutorials, how-to tips, eBooks, and interviews with veteran designers. Charitable Creativity for Those in Need. 99Designs has a program called 99nonprofits where they use their services to give back to local communities. Organizations that get accepted into the program receive a free design contest in a category of their choosing and are granted 60 days to launch it after successfully joining 99nonprofits. These groups pay nothing for the service or the winning design, but designers still get paid like they would in regular 99Designs contests. Numerous Affiliates and Partner Services. 99Designs has helped numerous industry leaders through services and resources related to website coding, promotional products, finance, and education among others. This is why users enjoy discounts from trusted service providers such as Vistaprint, Swag.com, Shopify, and the like. Catalant is a platform that helps companies connect to the right people with the skills and expertise they need. It specializes in providing an agile operating model to speed up transitions and get work done faster. It uses artificial intelligence and machine learning techniques to improve algorithms with features such as collaborative filtering, content similarity, and knowledge management. The platform has a rich talent pool on its Expert Marketplace where you can find professionals in various industries like Manufacturing, Pharmaceutical, Computer Software, and Information Technology and Services. Projects can range from hours up to several months depending on your business challenge. What is unique about Catalant? Numerous project types. It supports projects like business plans, social media advisory services, pitch decks, marketing analysis and research, competitive analysis, marketing plans, and financial projections and analysis. Carefully-evaluated experts. The platform’s “experts” when through a series of evaluations based on education and professional experience to ensure they are qualified. Catalant Project Workspace. It’s a workspace where experts and the company can collaborate and communicate. They can establish milestones, priorities, and to-do lists. Intelligent talent access. It uses artificial intelligence and machine learning to give smart recommendations in accessing talent. Agile operating model. It is built to help organizations quickly adapt to demands and changes, boost operational efficiencies, and expedite innovation. Bark is a web-based platform aiming to reform the work landscape for local sellers and buyers. Designed to prevent businesses and freelancers from wasting time on search engines and directories, this application uses smart people and technology who will put your best interests first. All you have to do is let us know what services you need, and Bark will find professionals who can get your tasks done with ease. What is unique about Bark? Wide Talent Pool. Unlike other freelance service marketplaces, Bark relies not only on the freelancers who use their site to help you find the best workers for your project. They contact every professional they can find that matches your requirements. This way, you are able to get the widest possible talent pool without hassle. Project Tracking and Documentation. Keeping the files of your freelancers can be challenging, especially if you hire multiple workers at once. Stay organized with Bark’s project tracking and documentation tools. Through this, you can safely store estimates, contact details, conversations, and other files related to a worker in your inbox. Excellent Customer Service. While most platforms provide customer support for their clients, Nexxt takes it up a notch higher with their dedicated staff. Not only will they ensure the quality of the output that you receive, but also make certain that they are submitted on time. Designhill is an online community where graphic designers and business owners can work together to create eye-catching outputs. Companies can select from different categories depending on the product they need, such as business advertising, brand identity, website and app development, illustration and art, clothing and apparel, and social media. What is unique about Designhill? Comprehensive Project Packages. Designhill’s services come in different comprehensive packages: Fast Track, Standard, Executive, and Platinum. Each has common features like the 100% money back guarantee, while the premium ones have more perks depending on the price. Some of these include blog promotions and free paid invites. Multiple Job Opportunities. Professionals have tons of freelance graphic design jobs to choose from. These include one-to-one projects, design contests, custom design services, the readymade logo store, and small design tasks. Works Toward Customer Satisfaction. If a company isn’t happy with the results, they can raise a dispute with Designhill, which will be fairly judged by in-house experts. A full refund will be given if the judges feel that the designer has not provided the level of service the company paid for. Free Consultations and Limited-Time Offers. Sometimes business owners have trouble deciding on what they want in terms of graphic design, so Designhill can help by providing free design consultations. The company just needs to share some details about their chosen design category, give a number of design ideas they want to choose from, and provide a budget and project deadline (three to fifteen days). Also, Designhill holds product sales where businesses can get discounts for certain products; all they need is to use the code provided in the offer before the promo ends. Skyword, while mainly a content marketing solutions provider for businesses and media companies, is a platform that caters to freelancers looking to work in creatives. From writers and media influencers to videographers and graphic designers, Skywood can provide enterprises with a pool of professionals best suited for their campaign’s requirements. What is unique about Skyword? Streamlined Work Process. While plenty of platforms have several functions to use, finding the specific one that suits your needs at that exact moment can take up lots of time. Skyword’s system offers a comprehensive yet streamlined process where you can create your campaign from scratch, staring at the naming stage to maintaining consistent audience engagement. Inclusivity of International Customers. While Skyword is headquartered in two different locations in the US, this provider caters to clients worldwide. If a company’s chosen content writers from different countries need to reach out to its foreign audience, Skyword’s system can assist as needed. Moreover, this site accepts payment in various currencies, and the number keeps growing as more businesses and professionals around the world join and use this service. Multitasking Tools Available. Skyword offers more than campaign creation and organization utilities. Entrepreneurs can hire freelancers to optimize their content through keywords, schedule the publishing of posts on social media sites, archive changes made to the content and when, access bird’s-eye and drill-down marketing metrics, view performance reports generated by Skyword, and much more. For those who are looking for app developers, Gigster is a reliable freelance marketplace to explore. It’s composed of talents who have worked in tech companies and who are experienced in building custom apps. Some are startup founders while many came from schools like Stanford and MIT. Among their recognitions are creating apps that have won awards from Apple. Since this platform is venture-backed, the project costs are reasonably-priced. Some factors that can affect the pricing include the project’s type, complexity, and timeframe. What is unique about Gigster? App developers. The platform is specifically for projects that involve app development. Hence, you won’t spend too much time scouring over various categories and filters. Full app ownership. Companies will get the licensing rights and ownership of apps developed through Gigster. Health and progress monitoring. You can monitor the project’s progress on reports. You can also make adjustments like on tasks and milestones. Quality talent. The app developers in the platform are experienced and qualified. They came from reputable schools and have experience with various tech companies. Reasonable pricing. Projects are priced based on the project’s complexity and type. It’s also venture-backed. Hiring freelancers can help you do more for your business. By having skilled professionals who are great in their fields, you can grow your business faster without having to hire a full-time staff. You can also save money by only paying freelancers for their services with a set work order. However, not all freelancers are great at what they do. Not knowing where to find qualified experts may lead you to stumble on some not-so-professional ones. Just as important as choosing the right freelancer is looking for a reliable freelance platform. Make sure you find your contractors from a secure and trustworthy platform where you’ll get the quality of work you need. Pricing and commission fees should be transparent. Customer support should also be reachable on various channels at any time. If you are looking for a freelance platform, you can sign up for Fiverr here to look for qualified freelancers in various fields. You may also want to learn creative ways for finding employees if you’re on a general hunt for top talent.